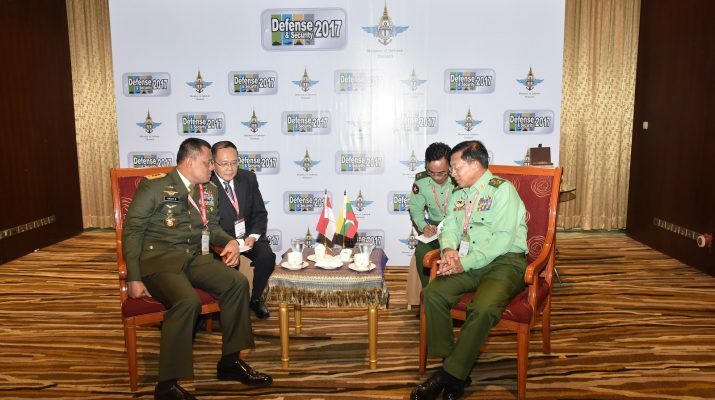 Commander-in-Chief of Defence Services Senior General Min Aung Hlaing who is in Thailand to attend the Defence & Security 2017 held a meeting with Commander of the Indonesian National Armed Forces General Gatot Nurmantyo at the parlour of IMPACT Exhibition Center this morning. 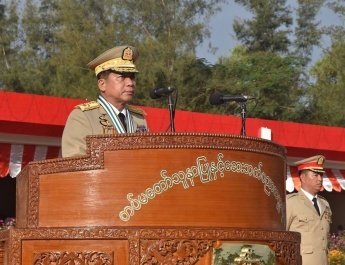 At the meeting, the Senior General explained terror attacks of Bengalis at security posts in Rakhine State with superior strength, brutally killing local ethnics, the Tatmadaw’s efforts in solving problems to such terrorist attacks with least casualties, exposing more than 2,000 persons of Bengali terrorists, fleeing of those exposed Bengali terrorists to Bangladesh, accusation of media against the Tatmadaw and making wrong information, and endeavours of the Tatmadaw in solving the problems through the best ways. The Commander of the Indonesian National Armed Forces thanked the Senior General for his clarification about true information. He pledged to make clarification about it to the Indonesian people. Defending the people against terror attacks is duty of all soldiers across the world. 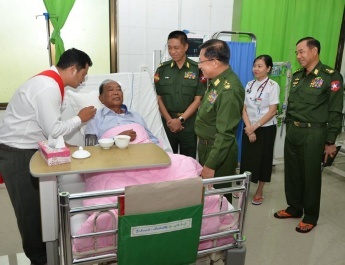 The Indonesian General expressed thanks for the Tatmadaw for its protecting the people regardless of races. 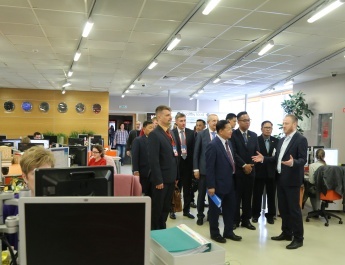 And he noted it needs to disseminate such efforts to the world on a wider scale. 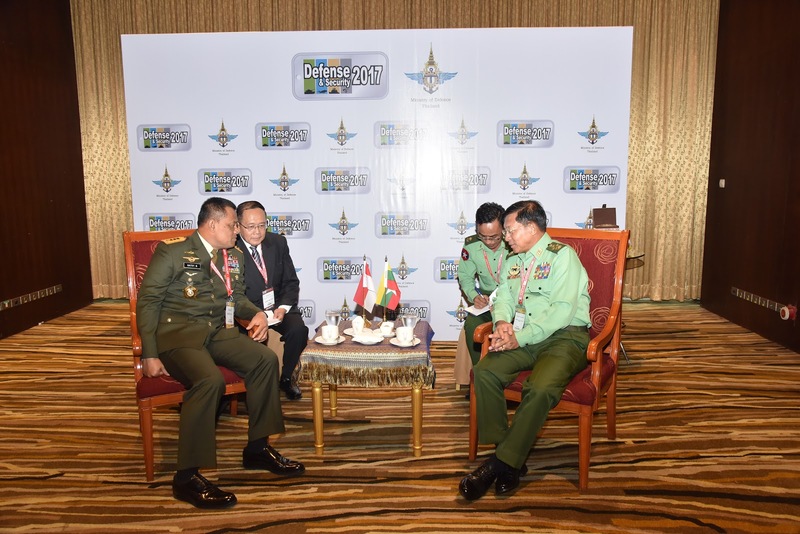 Also present at the call together with the Senior General was Myanmar Military Attaché to Thailand (Army, Navy and Air) Brig-Gen Khin Zaw. 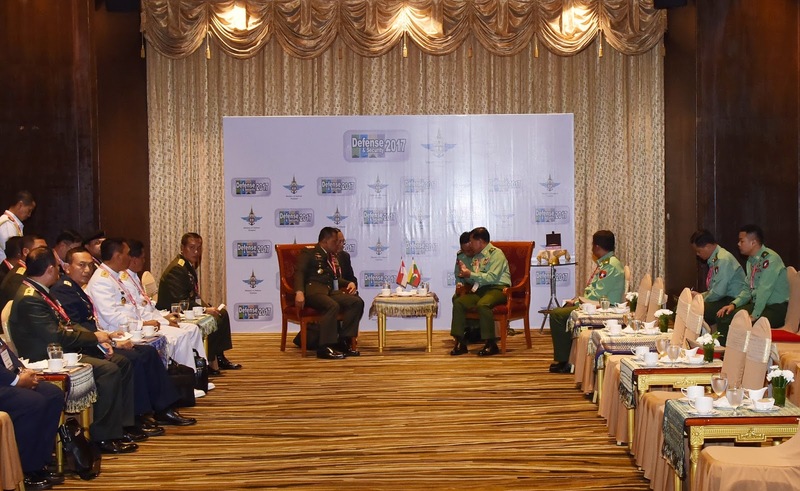 The Commander of the Indonesian National Armed Forces was accompanied by senior officers of the Indonesian National Armed Forces.